What’s that you say? No epipophyses in titanosaurs? Oh really? Now, as everyone knows, titanosaurs don’t have epipophyses. In fact, they’re the one major sauropod group where Matt has not observed them. Look at the left postzygapophysis, at top left of this image. Doesn’t that look like there’s a distinct rounded eminence sticking out towards the camera? No? Not convinced? All right, then, how about this? Zurriaguz and Powell (2015:figure 4B). 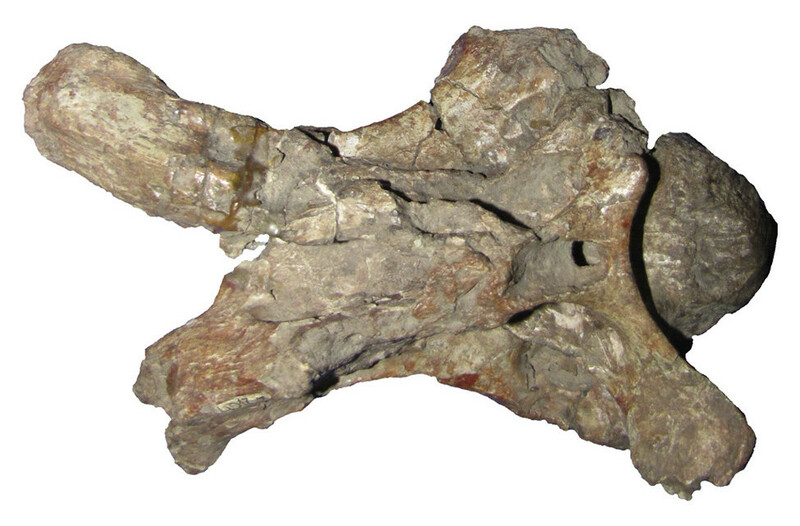 Mid-anterior cervical PVL 4017-138 of Saltasaurus loricatus in right lateral view. This time, look at the right postzyg (again at top left in the image). Doesn’t that look like there are two separate bony structures up there separated by a notch? A postzygapophyseal facet below, and an epipophysis above? Right? Huh? What’s that? Just damage, you say? All right. Let’s bring out the smoking gun. Again up at top left, we seem to have a clear case of a ventrally directed postzygapophyseal facet surmounted by a separate eminence which can only be an epipophysis. It even seems to be roughened for tendon attachment. What does this mean? Only the same thing we said last time: The more we look for epipophyses, the more we find them. Amazing how often that turns out to be true of various things. We seem to be headed towards the conclusion that epipophyses, while never ubiquitous, pop up in all sorts of places scattered all across the ornithodiran tree, encompassing birds, other theropods, sauropods, prosauropods, several groups of ornithischians, and both pterodactyloid and “rhamphorhynchoid” pterosaurs. But what about outside Ornithodira? Can we find epipophyses even out there, in the wilderness? The description of Yongjinglong also mentions epipophyses. Good spot! Thanks for the pointer. Irritating that Le et al. (2014: fig 3. 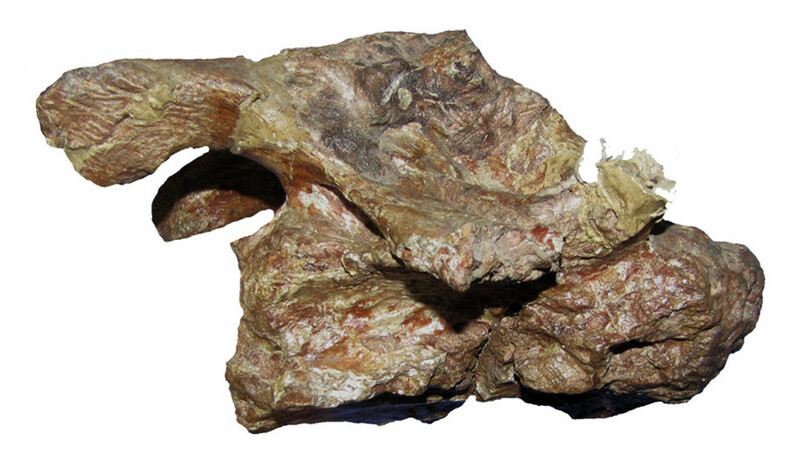 ), which includes the abbreviation “epi, epipophysis” in its caption, doesn’t in fact label an epiopophysis — and I’m not at all convinced that I can see one above the sole preserved postzyg. 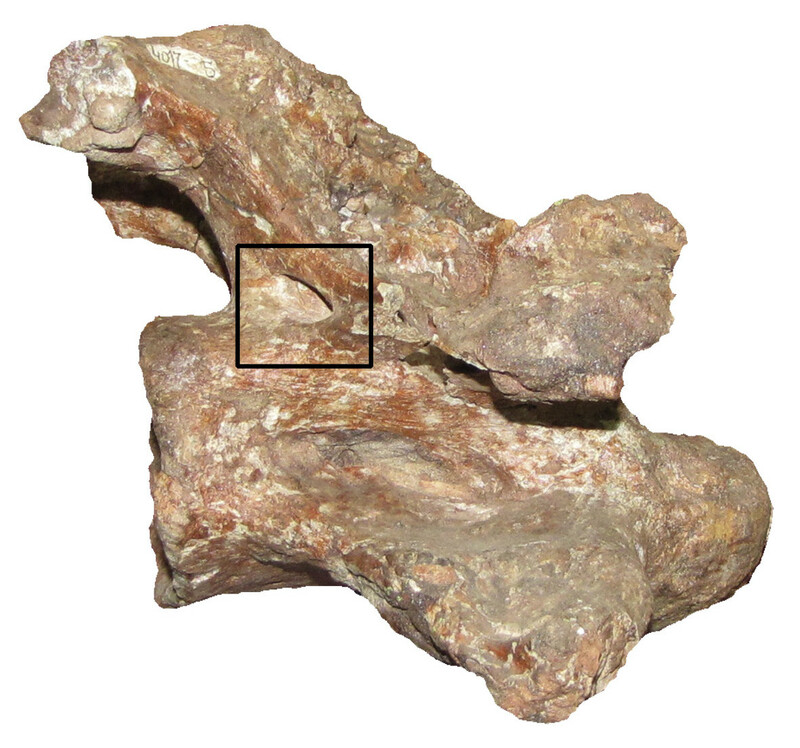 In the text, they say of this vertebra, “The caudal part of the neural arch is damaged; only a fragment of the left postzygapophysis remains and it extends beyond the caudal margin of the centrum without evidence of an epipophysis” [my emphasis]. So what they’re claiming is an epipophysis on a dorsal vertebra — which is not really the same thing, though I guess interesting in its own right. Then again, their illustrations of this structure (figure 5) are not particularly convincing.